The PicoWay laser is revolutionizing the process of tattoo removal! At DLVSC, we offer several different lasers to remove tattoos, but PicoWay is a welcome addition to our tool bag. This laser is different for three specific reasons: speed, results, safety. It can also be used for removing brown spots on the skin and other types of hyperpigmentation. Am I a good candidate for PicoWay? 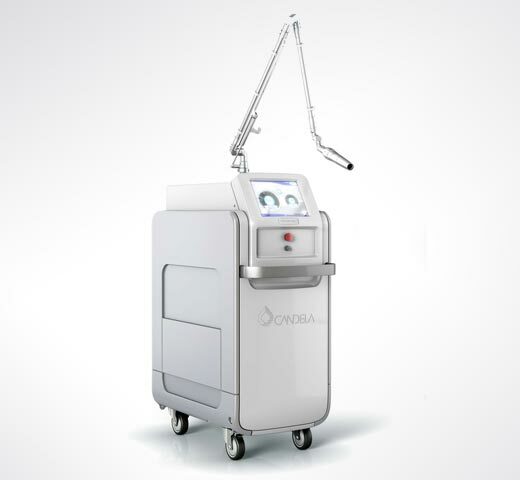 This laser can be used safely for all skin types! If you want to remove a tattoo with multiple colors in it, PicoWay is an excellent option. It’s not just great at removing tattoos, it can also be used for clearing up benign “age spots” or irregular pigment on the skin. What is tattoo removal treatment like? Tattoo removal with the PicoWay laser is very fast & easy! We’ll start the process by taking photos of your tattoo for later comparison and evaluation. Depending on the size & location of your tattoo, we’ll use either topical or injectable numbing to reduce any potential discomfort for you during the procedure. Once the skin around the tattoo is numb, we’ll start the treatment. The length of time needed depends on the amount of colors & the size of the tattoo. What are the side effects of PicoWay? Any downtime? After the procedure, we’ll apply a protective dressing and give you instructions on how to care for your skin at home. You may experience temporary discomfort after treatment, but typically the side effects and downtime from PicoWay are mild & easy to manage. We’ll recommend that you limit heavy exercise/perspiration in the hours immediately following your procedure. Sun exposure should also be avoided both before & after treatment, as it can negatively impact the healing process. How many tattoo removal treatments will I need? How long do the results last? PicoWay produces results faster than any other tattoo removal laser we offer! However, some ink colors respond more quickly than others. Black & blue are generally the easiest colors to remove. Yellow, orange & pink are often the most difficult. The laser tattoo removal process is difficult to predict, but many people see drastic improvement in the first 1 to 3 sessions. Results from tattoo removal are permanent! Once the ink is gone, it won’t come back!